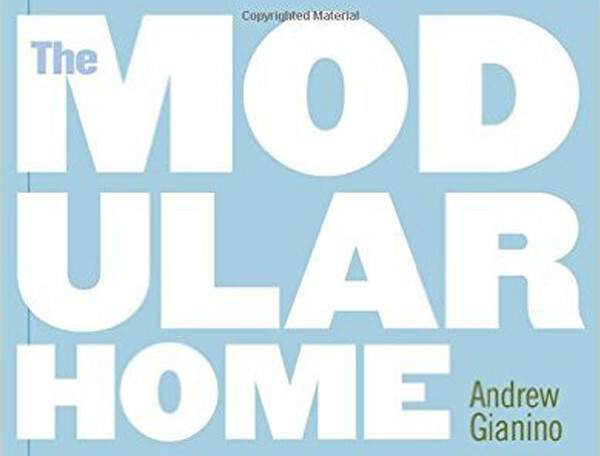 The Home Store Story, by Andy Gianino, Ph.D. 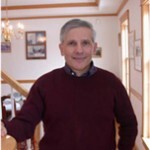 When I started selling modular homes in 1986, I was a complete novice. My Ph.D. training was in psychology, with a focus on child psychotherapy and the social development of infants. But we were in the middle of the 1980’s real estate boom, and my wife and I decided to invest in building a new home for resale. After researching the local real estate market I concluded two things: first, one reason the supply of new housing had not kept pace with demand was a shortage of skilled labor; second, the shortage was causing contractor wages to escalate, which was inflating prices beyond the means of many buyers. In our conversations with friends, we learned that many were encountering the same problems. It was impossible to find a good custom home builder to construct a quality home at an affordable price. When I learned that factory-built homes could circumvent these problems, I decided to become a representative of a modular manufacturer so we could sell homes to everyone who needed them. When I found that building houses was more enjoyable and less stressful than my psychology work, I became a modular home dealer. Learning from doing, I gradually got up to speed on a very complex subject, and over the years I’ve been able to cultivate my business into a thriving enterprise. The Home Store’s core business is modular home sales on a scattered lot basis. Our typical modular housing customer builds a custom designed home on a lot they have purchased in the community of their choice. Since we are not tied to one particular subdivision, or even to one community, we have exceptional flexibility as a modular home builder. In fact, our two model homes, located directly on I-91 in Whately, Massachusetts, bring us Customers from all over New England and the Hudson Valley. 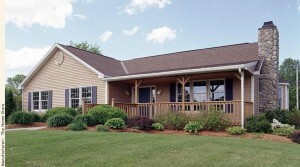 The Home Store has developed a strong reputation as a modular home builder of customized houses with a staff dedicated to comprehensive and quality customer service. My personal background as a Ph.D. in clinical psychology has helped me build a strong people-oriented organization. We have been told by many competitors that we set the benchmark for professionalism in the modular home industry. We are renowned for our many informational handouts as well as for our comprehensive purchase orders, which contain multiple pages of detailed specifications about modular home design and prices. The Home Store has always been a leader and innovator in modular home design and construction. In 1987 we built the first two-story model home in the area. When all of the other modular home builders were focusing on the first-time home buyer, building ranches and capes, we opted to target the move-up buyer by erecting a 2,500 square foot colonial. To further distinguish ourselves from the competition of custom home builders, we built our new model with many upscale features, including a dramatic two-story vaulted foyer with wrap-around oak railings, a beautiful jade-green marble fireplace surrounded by wall-to-wall custom oak bookcases, and a first floor living area finished in 6-panel oak doors with oak casings, crown moldings, and chair rail. Our prefab home model presents very favorably, even when compared with more expensive stick construction. In 1992 we set up a separate company, called Community Home Builders. Our objective was to assist Community Development Corporations and other non-profits with building affordable modular housing for low-income families. 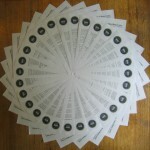 We contacted over 100 organizations and met with several groups. We discovered that for most CDC’s it was more economically viable to rehabilitate their existing housing stock than to build new. It is worth noting, however, that most CDC’s expressed interest in building new if construction funding could be located for low-income families. Since we could not locate such funding, we abandoned our efforts, with much regret. In 1994, we became a full-fledged general contractor. We now employ several licensed contractors. Our field personnel provide turnkey services within 30 miles of our Whately model home center. We work with independent contractors to provide turnkey services throughout the remainder of New England, New York, Long Island, New Jersey, and Pennsylvania. In 1994 we joined with Ron Mace, Director for Universal Design at North Carolina State University, to launch a new line of affordable modular homes, called the Universal Home Series. Mr. Mace’s designs are based on the principle that homes should be usable by all people, regardless of their age, size, abilities, or disabilities. We believe these modular home designs will appeal to the growing number of elderly and aging baby boomers who are discovering that their homes are ill-equipped to meet their changing needs and circumstances. Since erecting a striking Universal Series T-Ranch at our Whately Model Home Center, we have doubled our traffic count, with many more buyers coming from older demographic groups. 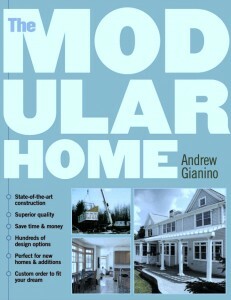 In 2005 I was asked by Storey Publishing to write a comprehensive handbook for prospective modular home buyers. The Modular Home is packed with everything you need to know about buying and building a modular home or addition to your existing home. I discuss the misperceptions about the limitations of modular homes and show potential buyers that a modular home can be as good as, if not better than, houses built with traditional stick-frame construction. To ensure that consumers are informed about the nitty-gritty details, I discuss at length choosing a dealer, working with a general contractor, selecting a floor plan, choosing the customized details, even selecting a building lot and financing the construction. The book has been the number one selling how-to book on building a modular home since it was published. It is often used by manufacturers across the United States to educate their new modular dealers and by other dealers to educate their customers. The Home Store has continued to grow. Over the last 32 years, we have built well over 1,300 homes in Massachusetts, Connecticut, Vermont, Rhode Island, New Hampshire, New York, Long Island, New Jersey, and Pennsylvania. Please pay us a visit or give us a call. Find the Sales Center nearest you. We believe that The Home Store’s extraordinary customer service philosophy is our defining feature. Our history of specializing in custom modular home designs means we are finely attuned to the diverse needs of our customers. Instead of trying to impose what we want on the customer, we listen carefully to each individual and strive to satisfy his or her specific requirements for modular home prices and specifications. By selling with integrity and providing custom assistance, we ensure that our clients always know what they are getting – and are delighted with the results. For a detailed presentation of The Home Store’s customer service edge, read through Compare Our Services Before You Build handout. The Home Store is one of the top 1% most endorsed residential builders in the United States on LinkedIn.